Howdy! 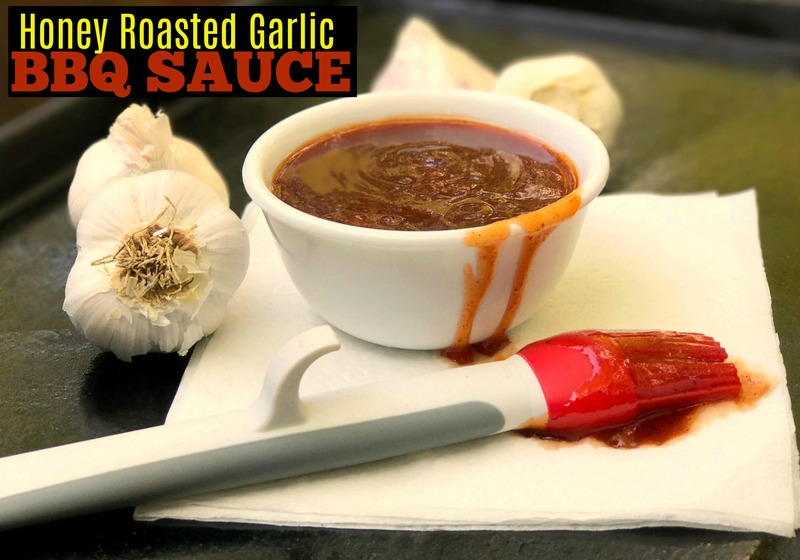 Today I am sharing THE BEST barbecue sauce we have ever had! I am working on a little project with Smithfield (amazing ribs, coming SOON! ), but this sauce turned out so delicious, it deserves a post of it’s very own! I love roasted garlic with my whole entire heart. So, as soon as I saw this recipe, I knew we had to try it. It turned out even better than I ever could have imagined. We were literally dipping bread in the sauce and eating it while we were waiting on the ribs to smoke LOL! To be honest, we normally just buy our BBQ sauce ‘cuz I’m not nearly as picky about it as I am salad dressing and Alfredo sauce…but after finding this recipe, I can guarantee you we ARE HOOKED! Don’t be scared of the whole head of roasted garlic because roasted garlic is not nearly as strong as regular garlic. If you like garlic at all, try this recipe! This Honey Roasted BBQ Sauce would be amazing on pork chops, chicken, pulled pork, RIBS, smoked sausage, hot dogs, and anything else you can think to put it on! I hope you all give it a try! Let me know if you do! *Pro-Tip* I use the Pioneer Woman’s method for roasting garlic. Click here for her awesome tutorial! Add all of the ingredients in a small pan, stir together, and bring to a simmer over medium/low heat. Simmer for 5-10 minutes, stirring occasionally. Remove from heat and use for ALL things Barbecue!!! Do you know how many cups one batch makes? Hi Shannan! It makes a little over 2 cups. Homemade BBQ sauce is always a treat!! This looks yummy!